It's no secret that the mountains of Western North Carolina have a wide array of wonderful places to live and play. With vibrant mountain towns like Boone, Brevard, and Asheville, as well as well-preserved national forests and serpentine scenic highways, it's easy to see why so many people choose to visit this area (we're talking to you Floridians). If you're going on vacation this holiday season, make sure the Pisgah is on the top of your list. And while you're there, use this weekend guide for a night of camping and a day of hiking and trail running. 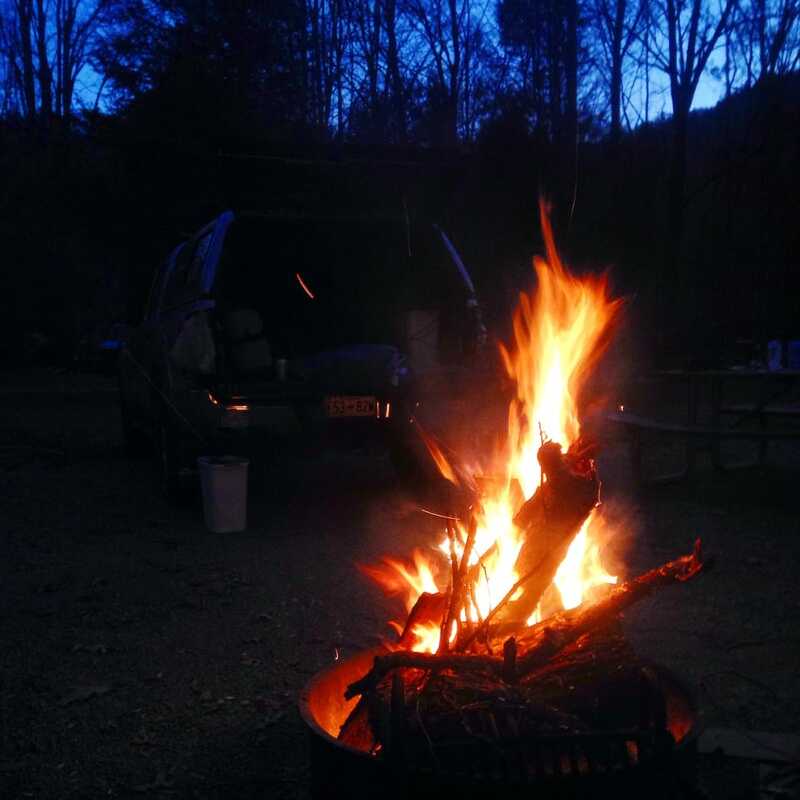 Open year-around with over 160 campsites for tents and cars, the Davidson River Campground is a great place to make a home base for your weekend in the Pisgah. 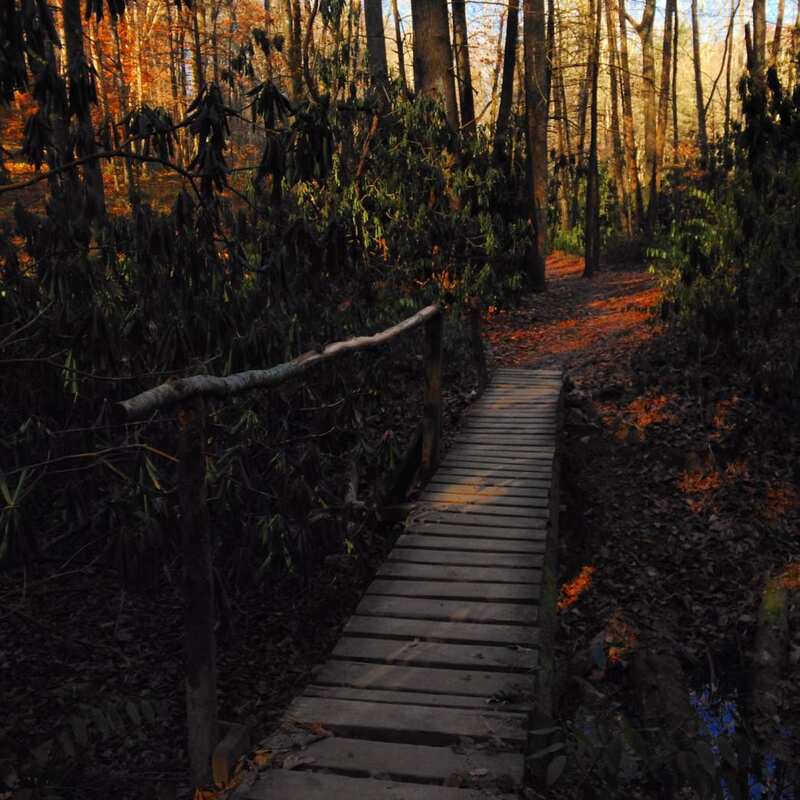 Nestled just inside the Pisgah National Forest, and only three miles from Brevard , the campground is at the foot of the Art Loeb Trail and just minutes from other well-known destinations like John Rock and Looking Glass Rock. And with Brevard being so nearby, you have the ability to grab any last minute supplies you may need before entering the park for the weekend. Even better, the Pisgah Ranger Station is conveniently located across the street to help with any last minute adventure questions before you start your day. We suggest finding a campsite that sits along the Davidson River, offering you quick access to a trail that runs along the river—great for a moonlight hike. 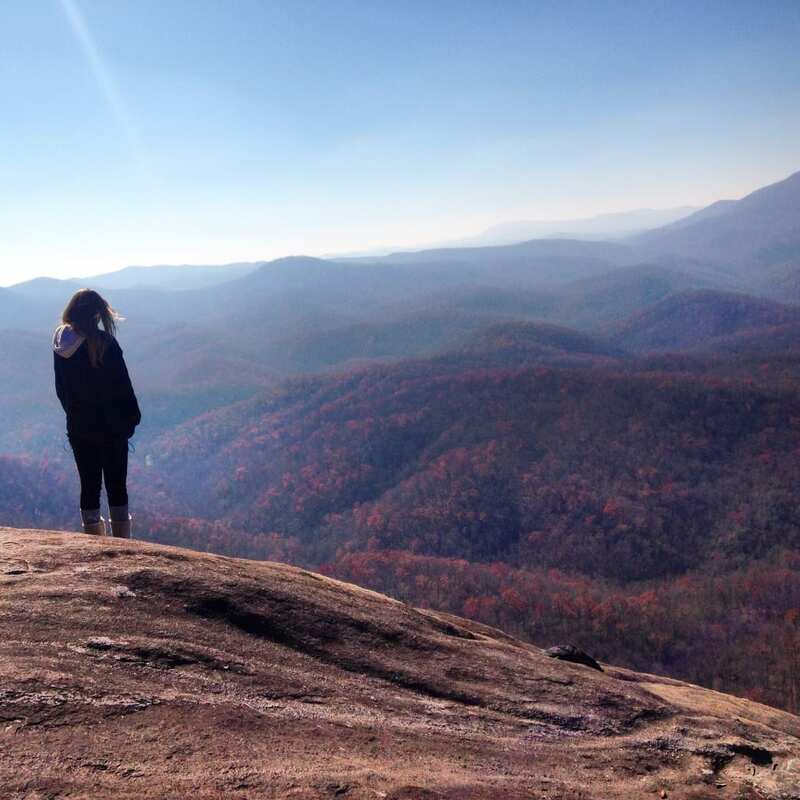 Only a few miles from the Davidson Campground, start your day off by experiencing the stunning views of Pisgah's gorgeous wilderness and mountains. Primitive tent camping is allowed here as well, so if you want to set up camp at the foot of John Rock, you may. With over 1,000-feet of elevation gain, this 5.5 mile hike will get your blood pumping and your heart thumping. You will find yourself quickly shedding layers, as you walk through tunnels of rhododendron forests with the rising sun guiding you playfully along the trail. 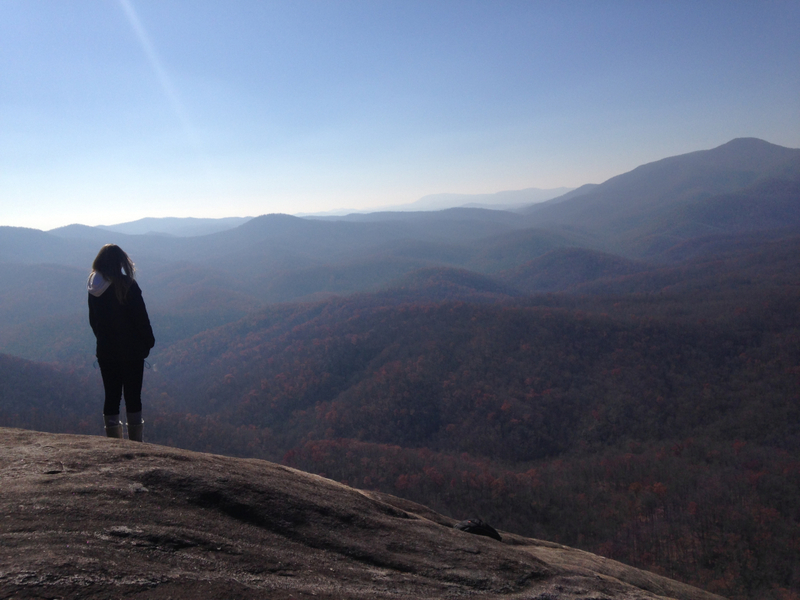 Once you get the top of John Rock, you are greeted with a huge rock slab that offers breathtaking views of the outstretching valley below, the Pisgah Ridge, and across the way to Looking Glass Rock. Enjoy a light snack at the top, a quick drink of water, and prepare for a brisk walk down to the trailhead for your next stop... lunch! Only a short three minute drive from the John Rock Loop Trailhead, enjoy a mountain meal with the accompanying sounds of the roaring 60-foot Looking Glass Falls. 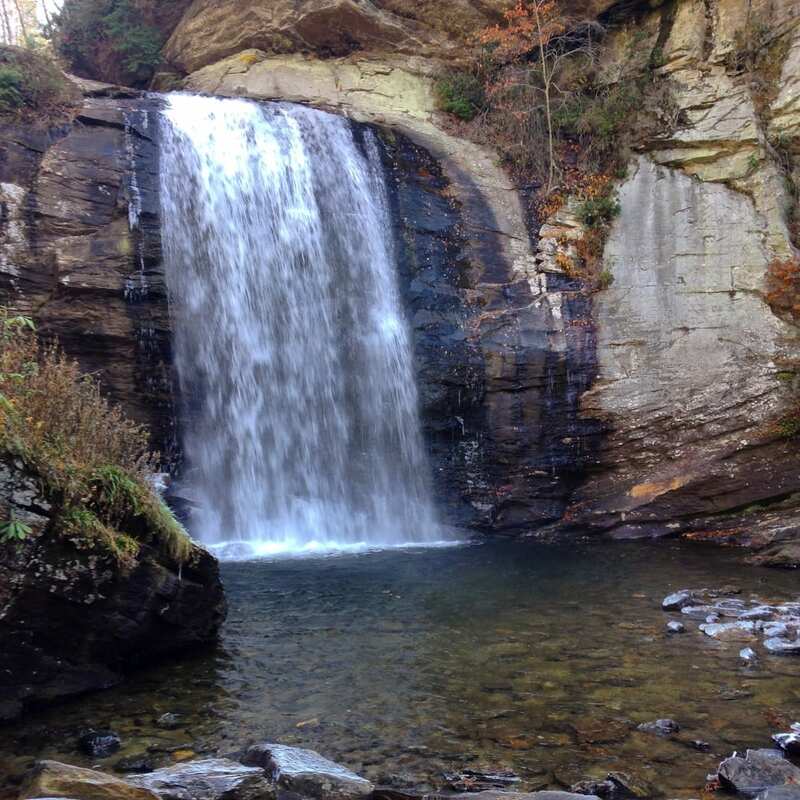 Pack your picnic basket and head just a few hundred yards from the parking lot and witness one of North Carolina's most pristine and powerful waterfalls. Steps lead down to the base of the falls, making it easy to carry any lunchtime supplies and offering you a perspective that will truly humble you. Scramble around the rocks, watch out for ice in the winter seasons, and find a scenic spot to fuel up for your next adventure . . . Looking Glass Rock! Fill up your hydration pack and throw some nutrition in your pocket—you'll need it. The trail to Looking Glass Rock is steep—climbing 1,700-feet in just over three miles and taking hikers and runners along a cascading mountain stream and through granite rock outcroppings and root gardens, which only add to the challenge. But after you weave through these hairpin switchback turns, and along trails coated with blankets of fall leaves, you'll be rewarded with one of the most majestic views on the East Coast. The views are simply stunning! Definitely worth the physical expenditure. The Pisgah National Forest offers great outdoor recreation possibilities for all ages and abilities. This is a great weekend trip for anyone looking to escape to the mountains. We recommend grabbing all your food needs in the town of Brevard before you escape. Whether it is your first time pitching a tent, or you're a seasoned trail running vet, the Pisgah is a true slice of weekend adventure heaven. Written by Jake Wheeler for RootsRated.